This article has been archived, but kept online for reference purposes. The information contained in this article may no longer reflect the current situation. ITV4 is to be made available to all Freeview viewers for the first time, following technical changes to ITV's Freeview service in August. The move will come in time for the Rugby World Cup, allowing Freeview viewers to catch all the action on both ITV and ITV4 from the event taking place through September and October. ITV4 will move to the same frequency as the main standard definition ITV service, meaning it will become available in those areas that only have access to a limited line-up of Freeview channels, giving ITV4 a coverage boost to reach around 98.5% of households in the UK. When did the change take place? 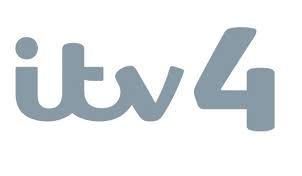 Changes to ITV4 took place on Tuesday 25th August. What do Freeview users need to do? Freeview viewers who see the "ITV4 has moved" message on channel 24 need to retune in order to continue receiving ITV4. You may need to do a full retune or first time installation depending on your receiver if a basic retune doesn't fix it. If you have recordings set up, you will need to re-programme them for the "new" ITV4. Freeview viewers who don't have ITV4 will need to retune in order to add ITV4 to their channel list. ITV4 will appear on channel 24. The changes will mean that a small number of Freeview households will be able to receive ITV, ITV2, ITV4 but not ITV3. No-one who already has ITV3 on Freeview will lose the channel because of the changes. ITV4 is given priority over ITV3 because of the live sport; the lack of ITV4 has repeatedly been brought up by viewers in some parts of the UK because affected viewers have missed out on live coverage of numerous sporting events over the past few years. There will be no changes to ITV3 on Freeview, but viewers who can receive ITV3 will also receive ITV3+1 for new, extended broadcast hours on Freeview starting on the same day. ITV3+1 is extending its hours from the current 6pm - 12:05am to 6pm through to 6am (although ITV3+1's programmes usually finish at 4am, followed by teleshopping). ITV3+1 is on channel 34. ITV, ITV+1, ITV2, Channel 4, C4+1, E4 (S4C in Wales), More 4, Film4 belong to a group of channels known as a multiplex. Testing has been taking place over the summer with ITV4 being added to this group of channels as a hidden test signal. The addition of ITV4 to this group of channels or multiplex follows the addition of Film4 two years ago, which made Film4 universally available on Freeview for the first time. The addition of channels to this multiplex is possible due to technological enhancements, which allow encoders to deliver more channels using the same bandwidth. ITV4 was originally available alongside the ITV signal on Freeview until September 2009, when it was moved as part of a reshuffle to give bandwidth to Channel 5, which had to be given bandwidth on a multiplex that was universally available as part of the digital switchover plan: it dictated that the main five channels (plus S4C in Wales) were available to all households. ITV's offshoot channels were down the pecking order in terms of coverage. Viewers who had gone through digital switchover prior to September 2009 complained about the loss of ITV's offshoot channels - the areas that had gone through digital switchover by that time were predominately rural, with a high proportion of viewers only receiving Freeview's reduced channel line-up from a relay transmitter. So what is the new frequency for ITV4? I entered 690000MHz but it couldn't find it. So it's obviously something else. I can't seem to finf a website with this information. Freeview channels are found between 474 and 786 MHz. The exact frequency you need depends on which transmitter you are receiving from. ITV4 is broadcast on the same frequency as ITV(1) Standard Definition. So a simple retune should automatically add ITV4. Older receivers may need to go through a 'factory reset' or 'first time installation' process, which clears the old channel list and gives you an updated list of all available channels in your area.